There could be a very good reason for this! Parents already know that books are vital to their child’s scholastic achievements and developing life skills. It can be disappointing when your child expresses absolutely no interest in reading. Reading is a skill, just like any other skill. It has to be introduced, nurtured, and developed. Imagine trying to play championship tennis when you can barely hit the ball? Children don’t enjoy what they can’t do. And when reading is difficult, they shy away from even coming near a book. Your child may not display any interest in reading because they are actually struggling with it. What many parents don’t realize is that enjoyment of reading is not automatic; it is learned by association. When a parent reads with a child, that feeling of togetherness, that special time, creates in the child a sense of enjoyment that they then associate with reading, and thus as they grow up, reading is associated with pleasure. Turning your non-reader into a reader will require your participation and encouragement every step of the way. You can do this by coming up with new and interesting ways to ‘package’ the art of reading. • A thick book can appear quite a formidable object to a non-reader. Begin small. 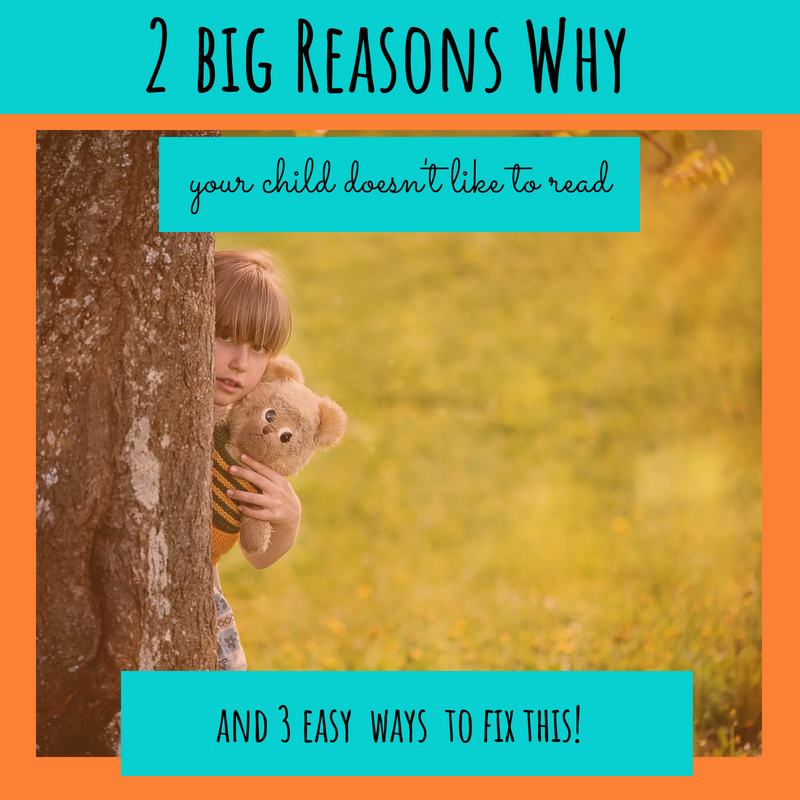 Start with a thinner book, not some great tome, and say, “I bet we’ll finish this quickly.” Then let your child read the book in bite-sized pieces. Don’t try for ten pages—read only four or five pages. Your child will feel this is not a huge task after all. • Praise and admiration boost a child’s confidence. You can do this by letting friends and family members know just how well your child is doing. “It’s amazing how many pages (child’s name) is reading every day now!” Soon your child will be the one to suggest reading. Use the time together to understand your child’s thought processes, and structure the book choices around what really sparks their interest, what they enjoy, not your choices. • Get your child their own library card and encourage them to begin choosing their own material. This will make your child feel important and that their opinions matter. Buying book vouchers instead of other kinds of gifts will encourage your child to start building their own collection of cherished books. A plane crash! Lost in the jungle! Hunted by their old enemy, will Adam, Justin, and Kim survive long enough to find the Third Stone of Power? With only a young boy, Tukum, as their guide, the kids make their way through the dense and dangerous jungle to find the lost city of stone gods, where the Stone of Power might be located. River rafting on a crocodile-infested river and evading predators are just part of this hazardous task. Of course, their old adversary Dr. Khalid is close behind as the kids press on. But he is not the worst of their problems. This time Adam will clash with a terrible enemy who adopts the persona of an evil Aztec god, Tezcatlipoca, and is keen to revive the ancient tradition of human sacrifice. Adam, Justin, and Tukum must play a dreadful ball game of life and death and maybe survive. Will they emerge alive from the jungle? Will Dr. Khalid find the third Stone of Power before they do? The Temple of the Crystal Timekeeper is available to purchase on Amazon.com. Fiona Ingram is a children’s author, but up until a few years ago, she was a journalist and editor. Something rather unexpected sparked her new career as an author—a family trip to Egypt with her mother and two young nephews. They had a great time and she thought she’d write them a short story as a different kind of souvenir…. Well, one book and a planned book series later, she had changed careers. She has now published Book 3 (The Temple of the Crystal Timekeeper) in her middle grade adventure series Chronicles of the Stone, with many awards for the first book, The Secret of the Sacred Scarab, and a few for Book 2, The Search for the Stone of Excalibur, and one already for Book 3! She also teaches online novel writing for aspiring authors and she finds that very satisfying. Relaxation time finds her enjoying something creative or artistic, music, books, theatre or ballet. She loves doing research for her book series. Fiona loves animals and has written two animal rescue stories. She has two adorable (naughty) little dogs called Chloe and Pumpkin, and a beautiful black cat called Bertie. What goes better in the morning with coffee than a muffin? Grab your cup of morning brew and join us today when we celebrate the launch of Fiona Ingram's book, The Temple of the Crystal Timekeeper. You can read our interview with the author and enter to win a copy of the book. Come by Christine's blog where Fiona Ingram shares her thoughts on writing about different places for kids. Come by Jessica's blog today where Fiona Ingram talks about how to transform your non-reader into a reader. Stop by Madeline's blog today where author Fiona Ingram shares her thoughts with young writers on writing and creating characters. Stop by Mari's blog where author Fiona Ingram shares her thoughts on developing characters that children will relate to. Stop by Rebecca's blog Bairn's Bard today where you can read a post by Fiona Ingram's daughter and also you can read about Rebecca's thoughts on the book The Temple of the Crystal Timekeeper. Stop by Steph's Cover2Cover where you can read Fiona Ingram's blog post about choosing books for your kids. Come by Margo Dill's blog Look to the Western Sky where Fiona Ingram writes about her experiences fostering (and later adopting) an illiterate African child who is now a lovely young woman who loves reading. Come by Rae's blog where Fiona Ingram writes about the joy of writing for children. Come by Karen's blog where Fiona Ingram shares her thoughts on how to encourage your kids to start writing. August 27th @ Mommy Daze: Say What?? Stop by Ashley's blog where Fiona Ingram talks about helping kids read better with homeschooling. A must read as school is about to start! Come by Rebecca's blog where you can read Fiona Ingram's post about using computers to improve reading skills. Stop by Jennifer's blog where she shares what she her thoughts about Fiona Ingram's incredible middle grade adventure book The Temple of the Crystal Timekeeper. Visit Veronica's blog and check out her thoughts on the book The Temple of the Crystal Timekeeper. August 31st @ Mommy Daze: Say What?? Make sure you stop by Ashley's blog again where she shares her thoughts on Fiona Ingram's book The Temple of the Crystal Timekeeper. Stop by Rebecca's blog again where you can read Fiona Ingram's post about writing a children series. Visit Cathy's blog today where Fiona Ingram shares the top ten things you never knew about Mexico! Come by Erik's blog Break Even Books where Fiona Ingram talks about how to make your books both enjoyable and educational. Join us over at Beverly A. Barid's blog where author Fiona Ingram shares her thoughts on developing a children's series. Make sure to come by Cathy's blog again where she shares her thoughts on Fiona Ingram's book The Temple of the Crystal Timekeeper. Come by Jill's blog today where Fiona Ingram shares her thoughts on writing for children. Stop by Ali's blog where Fiona Ingram talks about whether books can help children cope with life. Join us at Beverly's blog again for her thoughts on Fiona Ingram's adventurous book The Temple of the Crystal Timekeeper. Stop by Anthony's Blog where you can read Fiona Ingram's post about why a book series is so good for non-readers. Make sure to check out Anthony's blog again where you can read his thoughts on Fiona Ingram's book The Temple of the Crystal Timekeeper. Come by Andi's blog where you can read Fiona Ingram's post about why children love reading about other countries and cultures. Stop by Rebecca's blog where Fiona Ingram's talks about turning a non-reader into a reader. Stop by Lacey's blog where she reviews Fiona Ingram's book The Temple of the Crystal Timekeeper. Be sure to stop by again when Lacey interviews author Fiona Ingram and chats about her newest book The Temple of the Crystal Timekeeper. Come by Nicole's blog where she shares her opinion about Fiona Ingram's middle grade fiction book The Temple of the Crystal Timekeeper. Stop by Veronica's blog Story Teller Alley to read Fiona Ingram's post on how she came about to write the series The Chronicles of the Stone.